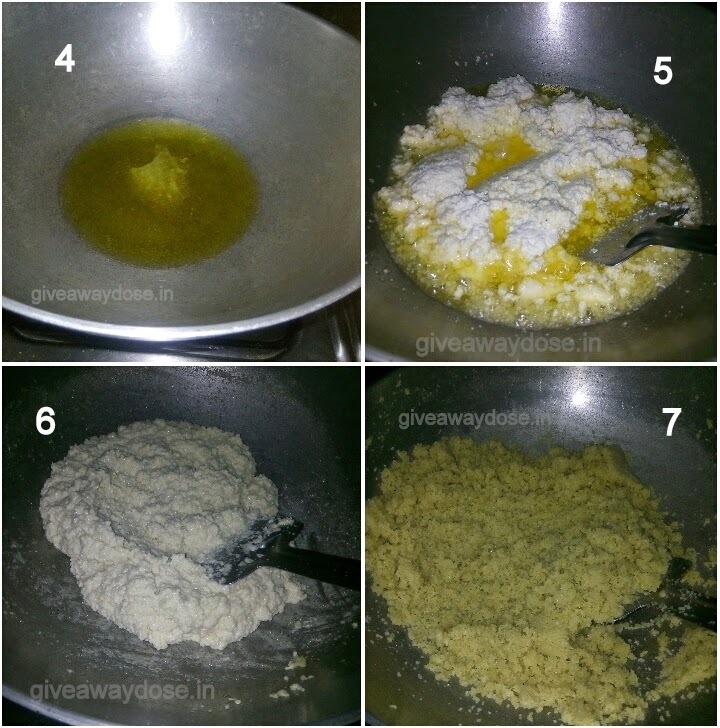 Step 4 : Heat Ghee in a Kadhai. 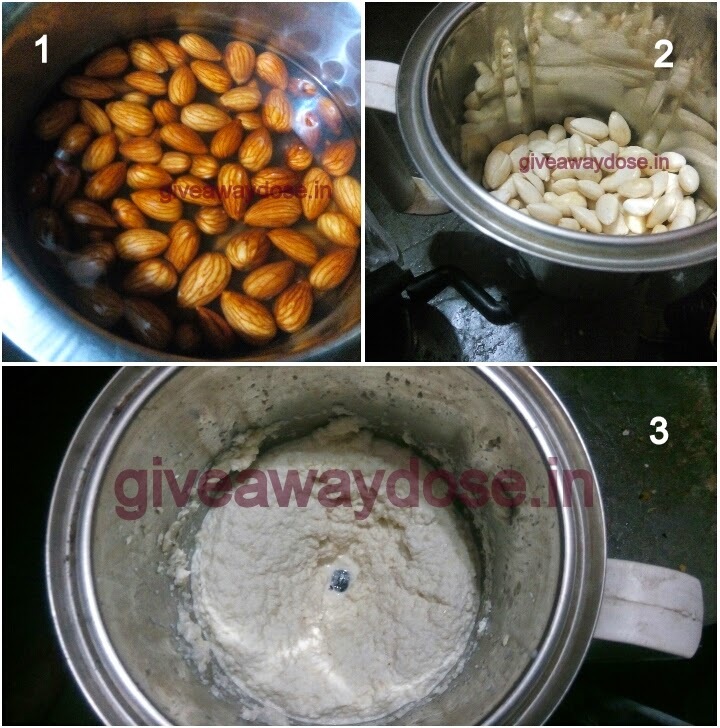 Step 5 : Add the grinded badam to it. Step 6 : Mix it well, in low flame. 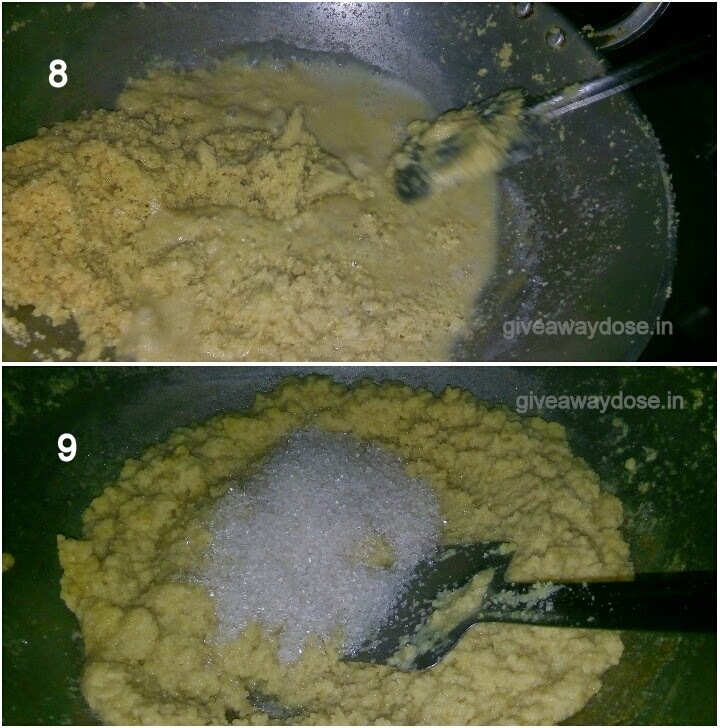 Step 7 : Keep stirring it until the mixture gives you a light yellowish color. Step 8 : Add hot water to it mix it well. Step 9 : Add Sugar, mix it again. 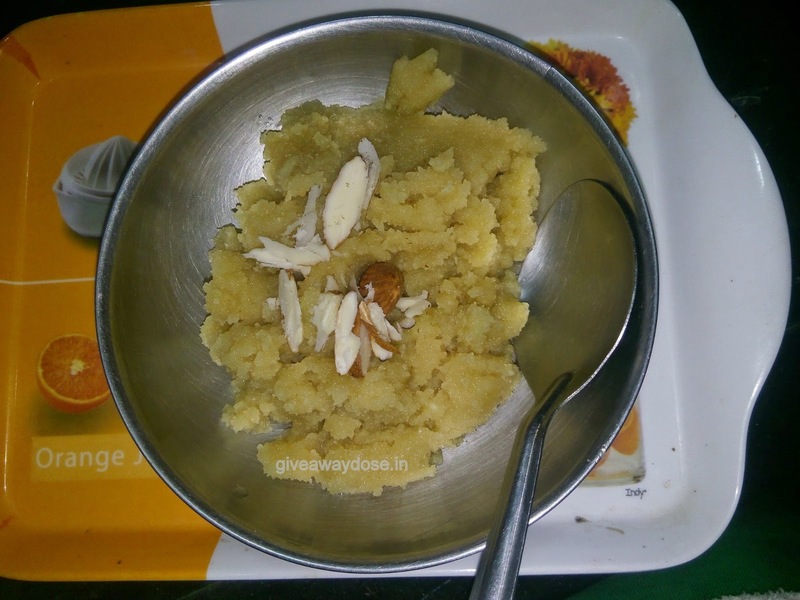 Have you ever tried making Badam ka halwa at home ever ?